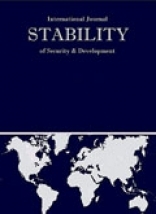 Research areas appropriate for this title include crime prevention, humanitarian assistance, state building, peacekeeping, stabilization, and addressing conflicts, and a variety of disciplines will contribute to, and be served by it, including anthropology, development studies, international relations, peace and conflict studies, economics, history, psychology, political science, and sociology. It focuses on both large-scale armed conflicts as well as local and regional violence in otherwise stable settings. This is a title every librarian serving human rights researchers and activists and security / stability specialists and researchers should bring to their users’ attention.